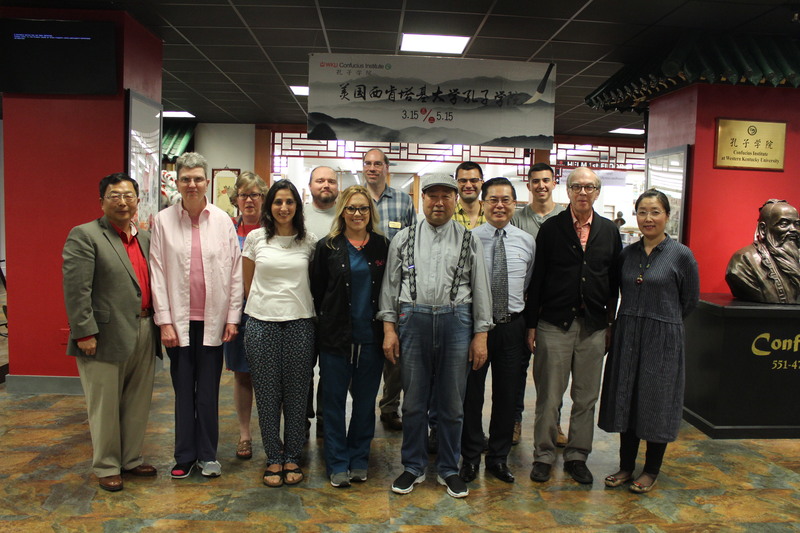 On Wednesday morning, May 3, WKU Libraries faculty, staff, and students received a lesson in Chinese calligraphy from famous Gongbi artist Liu Shuling in the Helm Library. 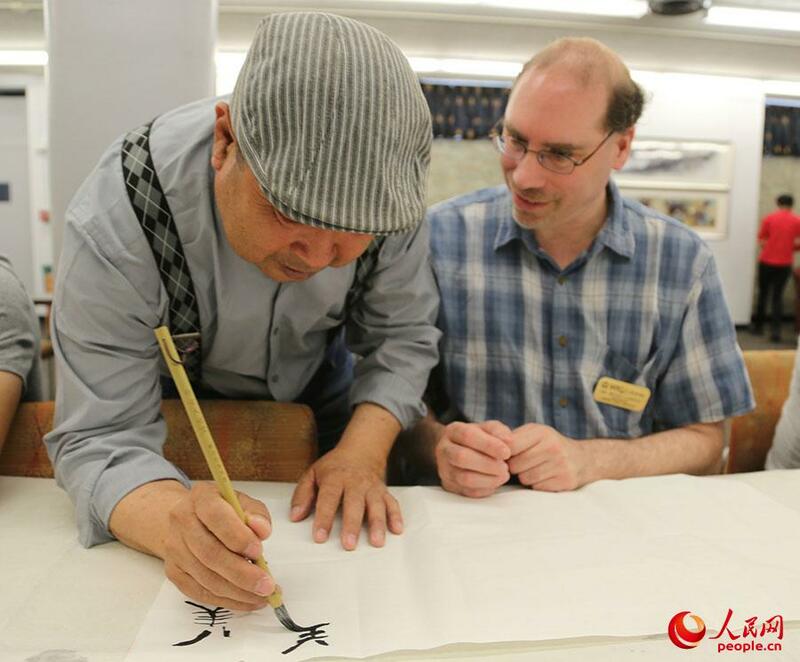 Gongi is a careful realist technique in Chinese painting using highly detailed brushstrokes that delimits details very precisely and without independent or expressive variation. 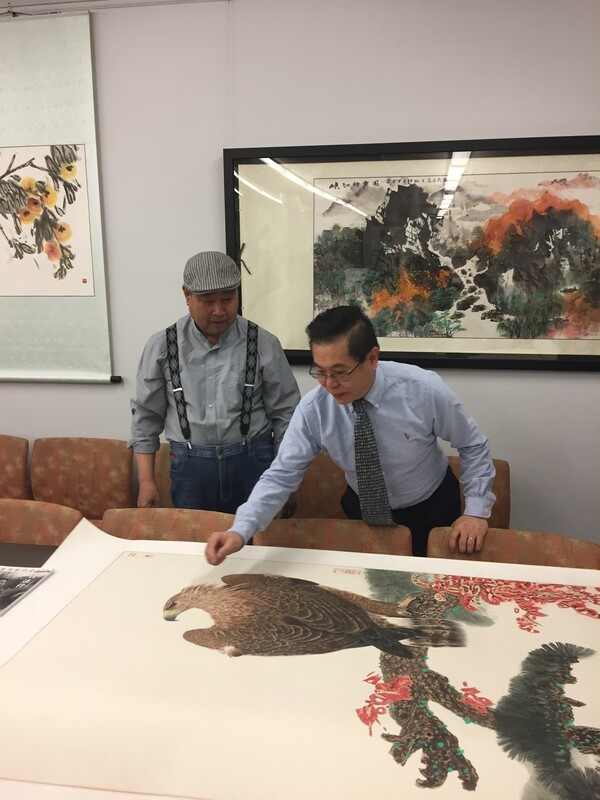 Hosted by the Confucius Institute at WKU, Liu Shuling, with assistance from his daughter Liu Jiamei and WKU Librarian Haiwang Yuan who served as translator, discussed his art on display in Helm library and taught library personnel and WKU students the history and art of Chinese calligraphy. The exhibit received media coverage in China. For more information about the exhibit, see an article from WKU news. 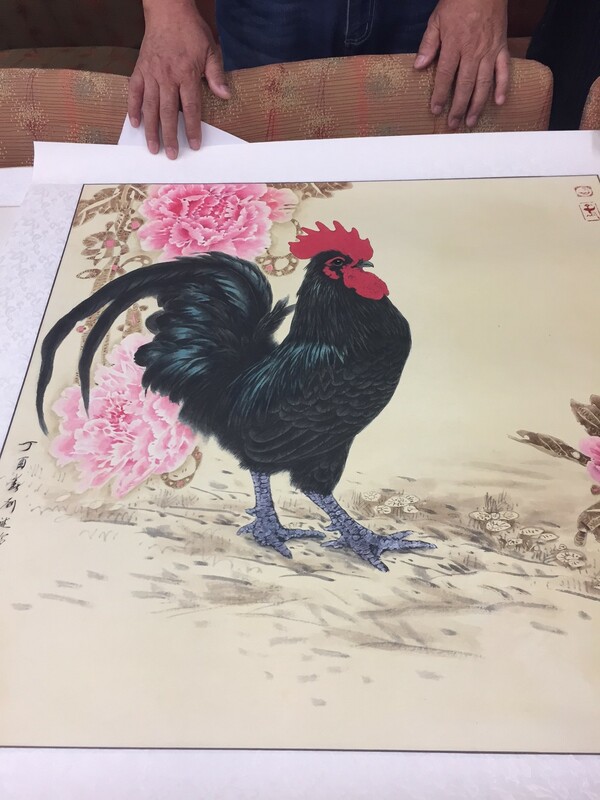 See below for example’s of Liu’s recent artwork. 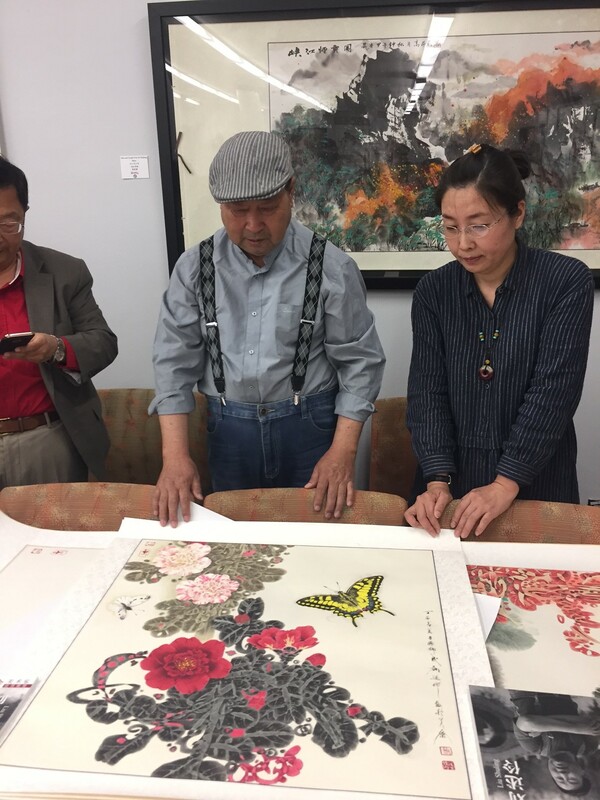 Dr. Pan, artist Liu Shuling and his daughter Liu Jiamei, looking at Liu’s recent work featuring azaleas. The 10 a.m. session on Saturday, April 22 drew a crowd to hear the latest about new books from: David Grann, currently the nation’s hottest literary property, according to the Chicago Tribune; Fenton Johnson, one of Kentucky’s most acclaimed writers; Sean Kinder, one of this year’s nominees for the Kentucky Literary Award; and Holly Tucker, whose last book was on many people’s “best of the year” lists. 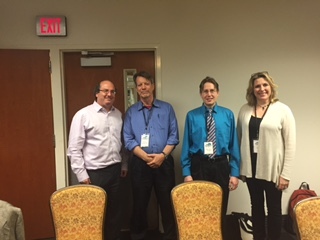 Brian Coutts served as moderator. David Grann, whose new book Killers of the Flower Moon: The Osage Murders and the Birth of the FBI, is moving up the best seller lists, talked about the years of investigative research he conducted into the murders of members of the Osage Indians in the early decades of the twentieth century. It involved combing through FBI files and interviews with descendants. When oil discoveries made the Osage among the wealthiest citizens in America they were targeted by local white residents leading to murders, poisonings, explosions, etc. 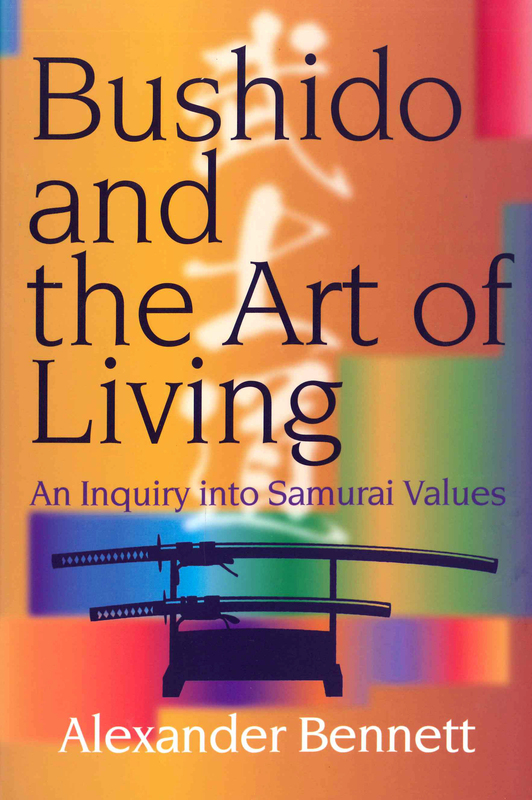 Movie rights for this new book were recently auctioned off for $5 million. A movie adaptation of his 2009 novel The Lost City of Z opened last week nationwide. Two other movies based on his short stories True Crime and The Old Man and the Gun are in production. 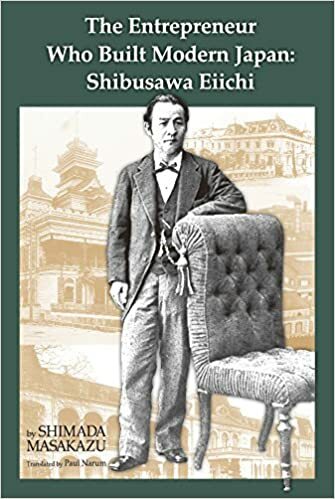 Fenton Johnson talked about newest novel The Man Who Loved Birds and a new collection of essays Everywhere Home: A Life in Essays published this week. The idea for the novel, which is set in Kentucky, he said, had been germinating for a very long time and had been prompted by the murder of a marijuana grower with drug connections in the early 1970s. The novel involves the relationships between a monk in the Trappist Monastery of Gethsemane, a “marijuana” farmer, and a Hindu woman doctor who’s recruited to provide medical services for the county. Johnson’s next book, based on a 2015 front page article in Harper’s, is due out from Norton in 2018. Sean Kinder’s wonderful biography of Covington, Kentucky film star Una Merkel was a finalist for this year’s Kentucky Literary Award. 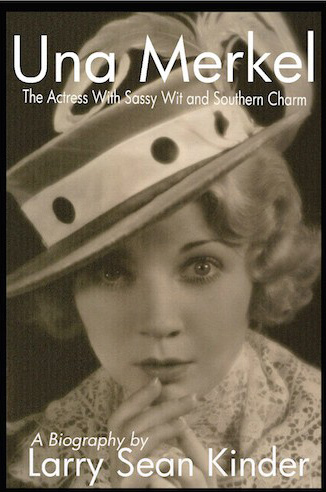 Una Merkel: The Actress with Sassy Wit and Southern Charm describes her roles in more than a hundred movies, and countless radio and TV shows and memorable appearances on Broadway where she won a Tony for her appearance in the Ponder Heart. The book was selected by the Huffington Post as one of the “Best Film Books of 2016”. Sean was a guest at Covington’s summer festival where a new mural of Una Merkel was unveiled. Kinder told the story of getting out of a cab on the Hollywood “walk of stars” (there are more than 2,600) almost exactly in front of the star for Una—taking this as some kind of sign! Holly Tucker explained that while doing research for her earlier book Blood Work: A Tale of Medicine and Murder in the Scientific Revolution she discovered the hand written notes of the Paris Chief of Police during his investigation of the sordid affairs of poisonings, black magic, illegal abortions and much more, which involved not only the upper crust of Parisian nobility but even some of Louis XIV’s mistresses as well. Talking about her new book, City of Light, City of Poison: Murder, Magic, and the First Police Chief of Paris, she answered questions about how Paris became the “city of light” (it was because they began to provide candle illuminations in the late 17th century), the various techniques used to poison unfaithful husbands, and various tortures used to extract information from those involved. Suffice to say waterboarding is nothing new. 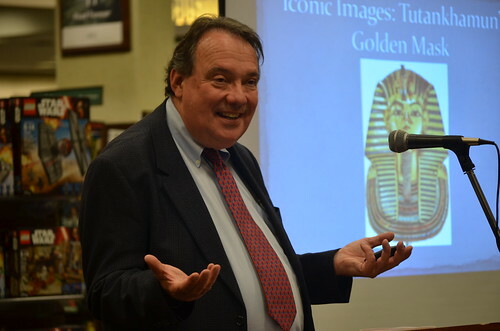 One of Kentucky’s most celebrated writers, Fenton Johnson, was a featured speaker in our Kentucky Live Series on April 20, 2017 at Barnes & Noble Bookstore. He talked about his newest novel The Man Who Loved Birds set in Nelson county Kentucky. David Bettez, the retired Director of the Office of International Programs at the University of Kentucky in Lexington, spoke in this year’s Kentucky Live! series on March 9, 2017 at Barnes & Noble Bookstore (1680 Campbell Lane). He talked about his newest book Kentucky and the Great War: World War I on the Home Front . The publication of his book and his talk coincide with the 100th anniversary of the United States’ entry into World War I.
WKU Libraries’ “Kentucky Live!” speaker series opened up its spring season with “Wineing Your Way Across Kentucky: Recipes, History, and Scenery” on the evening of February 16, 2017 in Barnes & Noble Booksellers at Bowling Green, KY. While Kentucky is known for its bourbon industry, wine has been a growing industry in recent years with new wineries applying for licenses every year. Childhood friends Becky Kelley and Kathy Woodhouse traveled across Kentucky visiting over seventy wineries. The book includes Kelley’s description of each winery, with its location, hours, and events information, along with Woodhouse’s amazing photography and favorite recipes using the wines. 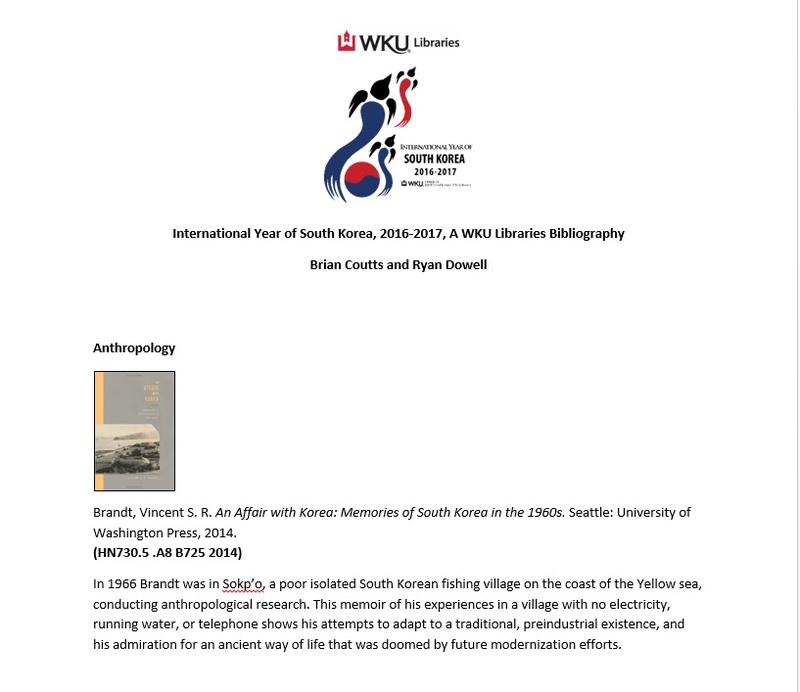 In cooperation with WKU’s “International Year of South Korea, 2016-2017” series, WKU Libraries has compiled a multidisciplinary bibliography with over 100 resources pertaining to South Korea in fields like: Anthropology, Art, Cuisine, Economics, Education, Film, Geography & Travel, History, the Korean language, Literature, Music, Political Science, Sociology, and Science, Technology, Engineering, & Medicine. The bibliography includes not only books but also DVDs of popular South Korean action thrillers, CDs by K-Pop groups, and web resources for information and news about South Korea. 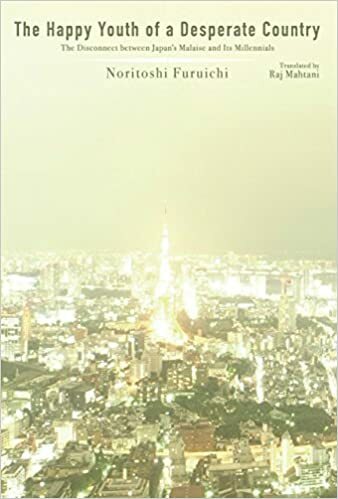 Whether you are looking for some reading material like Han Kang’s Man Booker International Prize novel The Vegetarian, or want to learn how to curse in Korean with As Much as a Rat’s Tail: Korean Slang, you will find all the new South Korean books on this bibliography. Visit our Visual and Performing Arts Library (VPAL) on the 2nd floor of Cravens library to watch some popular Korean movies like Oldboy or A Brand New Life, or check out music by world famous K-Pop stars from Wonder Girls to PSY.